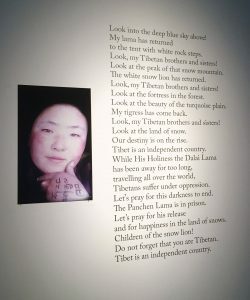 An unflinching examination of the politics of protest in Tibet, confronting new audiences with the anguish of self-immolations in Tibet, is currently a part of an international art Bienniale in Belgium on the theme of justice, until May 21. 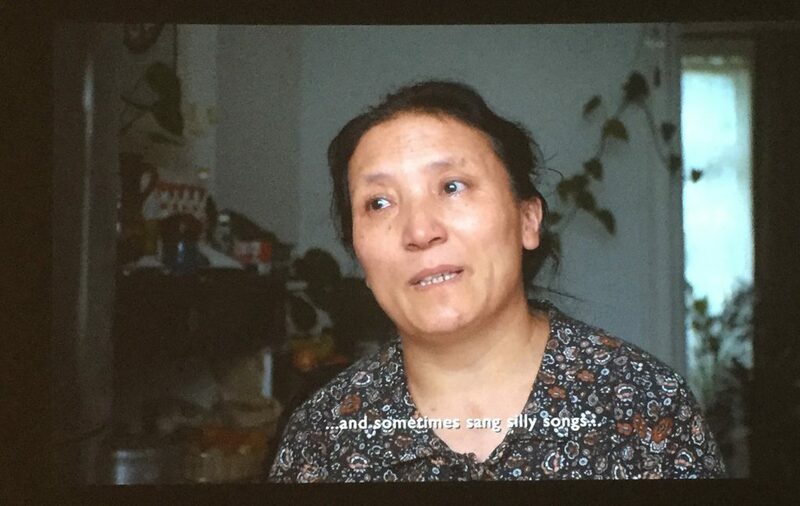 The last testimonies of self-immolators, smartphone videos, portraits and Tarkovsky-like official footage are brought together by film-making duo Tenzin Sonam and Ritu Sarin to shattering effect in ‘Burning against the Dying of the Light’ at the Contour 8 Bienniale. 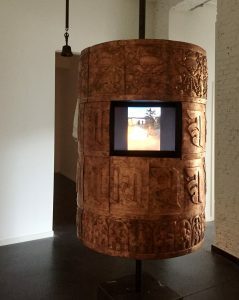 At the heart of the exhibition, a prayer wheel slowly turns, adorned with a single khatag and tolling a bell, its ring intended to dispel ignorance. Unlike a typical Buddhist prayer wheel, it consists of its bare armature, ringed by metal bars with rolls of religious text exposed at its centre. Embedded within it is a video screen showing footage of self-immolations shot on camera-phones in close, unsparing detail by witnesses whose names we will never know, and who may have been thrown into prison as a result. In ‘Two Friends’, a single channel video depicts 22-year old former monk, Ngawang Norphel, blackened almost beyond recognition as a human being, speaking on camera to monks who are tending him after his self-immolation. “When we hear of a self-immolator, we pray that he or she has died,” says one Tibetan friend. The video of Ngawang Norphel, lying covered in an orange quilt in the monastery, is utterly harrowing. Struggling to form words, he asks the monks more than once of the fate of his friend Tenzin Khedup, 24, who set fire to himself at the same time and died. In an unbearably poignant exchange, Ngawang Norphel asks whether his friend has died, and the monks reassure him that: “Tenzin Khedup is fine. He is home.” “Is he dead?” “He is not dead.” Ngawang Norphel survived for several more weeks before dying in a Chinese hospital. Many Tibetans who have self-immolated have sought to underline the religious context of their acts, or have sought to be close to monks with the belief that the appropriate prayers will then be offered after their death by fire. Some have died with their hands clasped in prayer, while many of those who have self-immolated have done so beside a stupa, monastery or nunnery. Others have self-immolated during important prayer ceremonies. 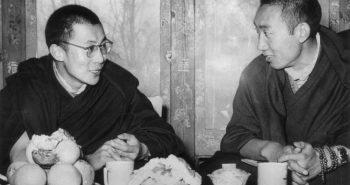 Overwhelmingly, Tibetans who have set fire to themselves and who have risked their lives in peaceful protest have called for the Dalai Lama to be allowed to return to Tibet. ‘Burning against the Dying of the Light’ is on display in the historic town of Mechelen, half an hour by train from Brussels, until May 21. Contour Biennale 8, with its theme this year of ‘Polyphonic Worlds: Justice as Medium’ is symbolically sited in the grounds of the Great Council, established in Mechelen during the 15th Century for law to be enacted across Dutch, German and French territories. Consistent with the theme, other works include the transformation of the wine cellar of a 15th century manor once owned by the city’s watchmakers into an underwater oceanic zone reflecting on ideas of ecological solidarity. 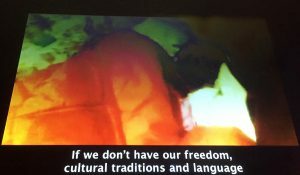 In the House of the Great Salmon, originally owned by a monastery for lepers, the Karrabing Film Collective looks at barriers for indigenous people – racialised and colonized incarceration, poverty and securitization. 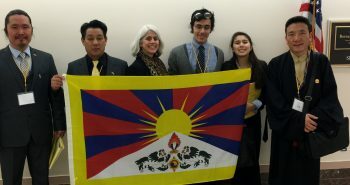 Previous postTaking a Step for Tibet — My Experience with Tibet Lobby Day in Washington, D.C.
Kate Saunders heads monitoring and communications for the International Campaign for Tibet, managing a field operation of Tibetan researchers, interviewing Tibetan sources and writing analyses on the situation in Tibet. 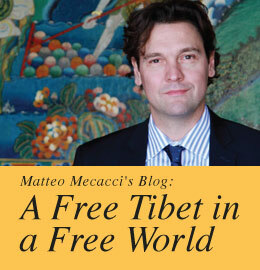 Kate is a writer and journalist who has specialized in Tibet for around 15 years, advising journalists, academics, Parliamentarians and government ministries. 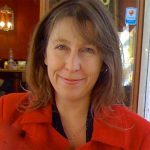 Kate has written numerous reports for the International Campaign for Tibet and her book, ‘Eighteen Layers of Hell: Stories from the Chinese Gulag’ was published by Cassell in 1996. Her articles have been published in newspapers and magazines worldwide including The Guardian, The Times, Washington Post, Times of India. My heart pours out to each and every Tibetan in their struggle, especially to those who feel they have no choice but to self-immolate and to their families.